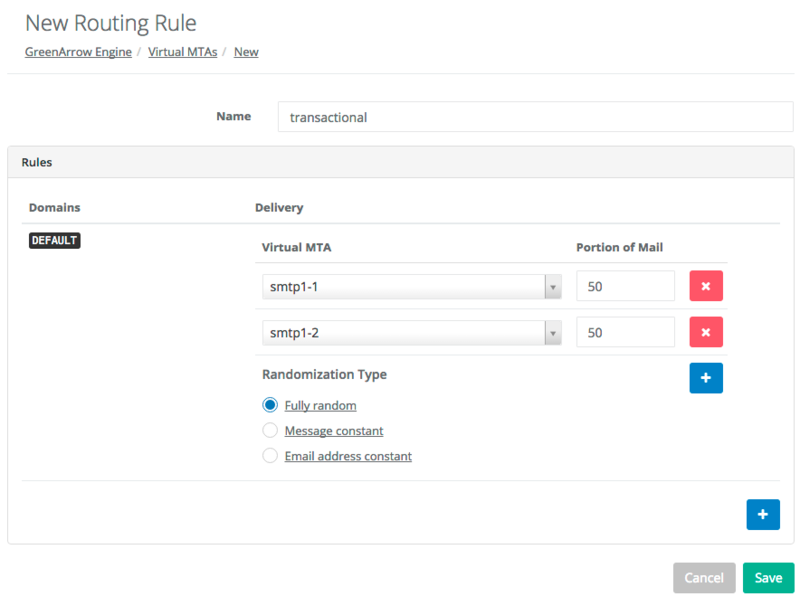 Rules - select one or more existing VirtualMTAs to send mail through, and what percentage of mail each should send. Randomization Type - The level on which to randomize messages. This field is hidden if only one VirtualMTA is selected to send through. Fully Random - Always Randomize - Each delivery attempt gets a random VirtualMTA assigned from the available options in the rule. Message Constant - Randomize once per message - Each message gets one randomization during the first delivery attempt. 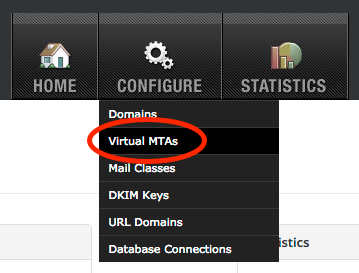 Once the VirtualMTA is set, all subsequent delivery attempts for that message uses the assigned VirtualMTA (as long as the percentages are not changed). Email Address Constant - Randomize once per email address - Each email address gets one randomization during the first delivery attempt to that address. All subsequent messages sent to that email address will always use the assigned VirtualMTA (as long as the percentages are not changed). Limit on the number of destinations: We do not recommend adding or editing more than 500 destinations within the user interface. See the API to support up to 2,500 destinations or the configuration file for up to 10,000 destinations. While GreenArrow does not enforce a hard limit on the number of destinations, performance can suffer when exceeding these thresholds.